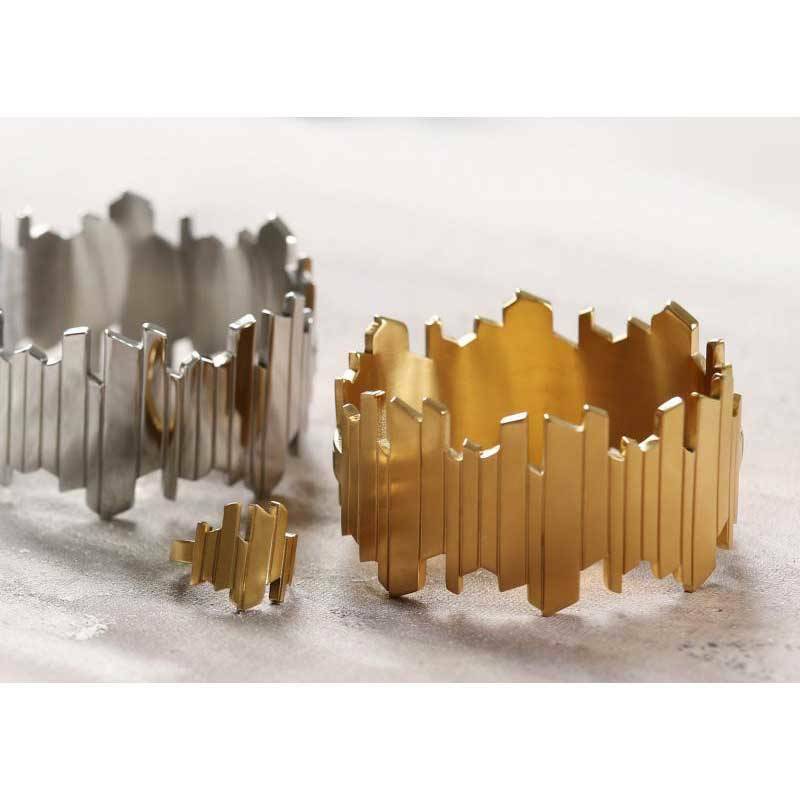 Bracelet Skyline gold is reminiscent of a city skyline with sleek architecture. Skyline is an incredibly stylish and striking accessory. It feels modern with a classic base. Skyline has a hinge so you can easily put it on and it closes almost invisibly. 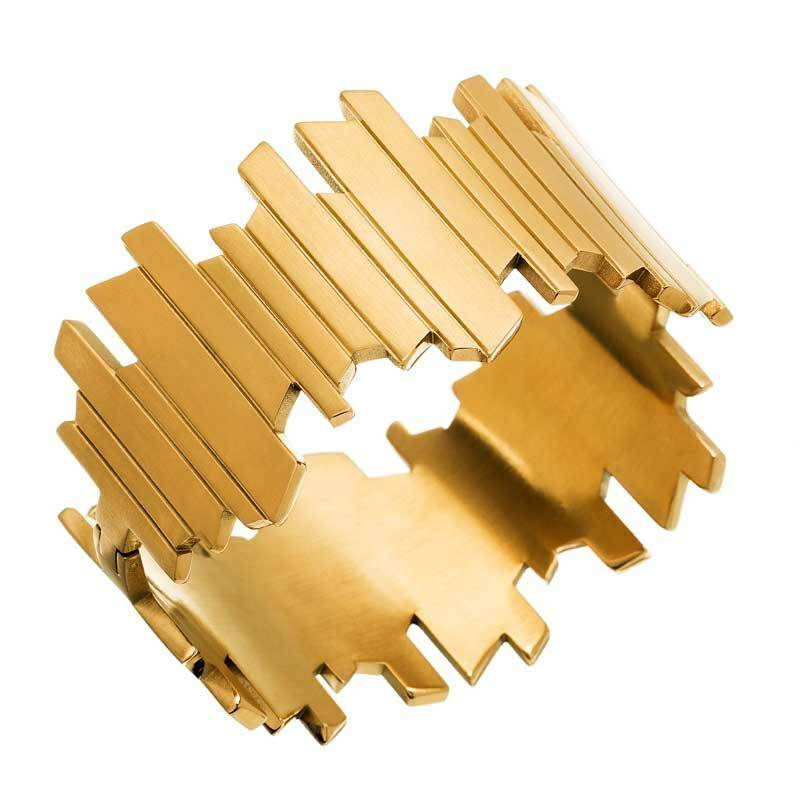 Material: matt gold plated stainless steel. Measurements: 3.8 cm wide - inside dimensions 5.2 x 6.6 cm. Nickel safe.